Kia’s fully-electric e-Niro SUV is to go sale in the UK in April, with a price of £36,495 before the plug-in car grant is applied. The car will offer a range of 282 miles for the 64kWh battery model and 179 miles for the version with the standard 39.2kWh battery. These figures have been revised downwards from the 301 miles and 193 miles previously communicated by the manufacturer after an error made during the homologation process was discovered. 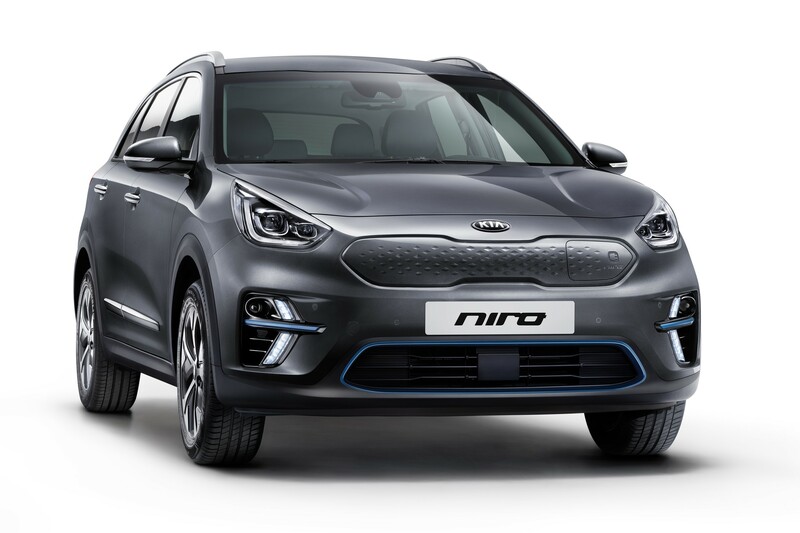 E-Niro will be Kia’s second full electric vehicle after the Soul EV, and includes a range of technologies to enhance battery efficiency and improve the car’s range. Regenerative braking technology allows the e-Niro to harvest kinetic energy and recharge the battery pack, while the eco driving assistant system provides guidance on how to drive more efficiently. 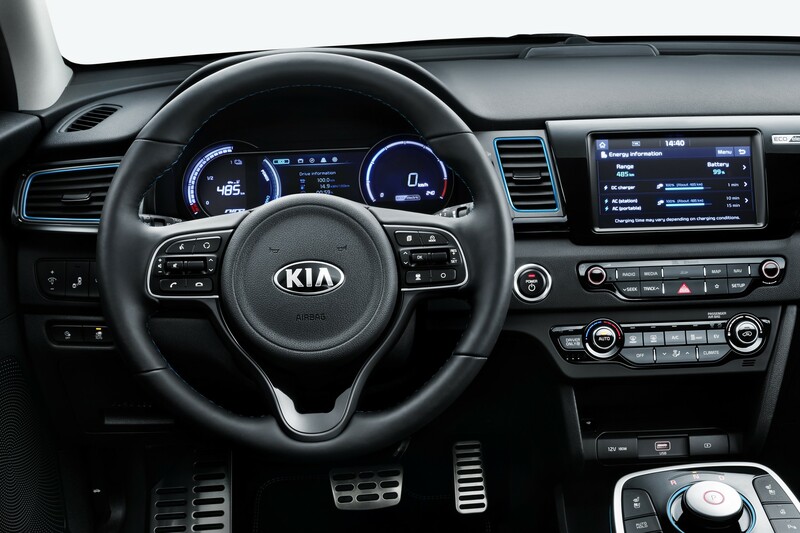 The car has three levels of energy recuperation, which can be selected by paddle controls situated behind the steering wheel. A range of advanced driver assistance systems and, as standard, is equipped with vehicle stability management to increase stability under braking and cornering, forward collision warning with forward collision avoidance assist, smart cruise control, high beam assist, driver attention warning and lane keep assist system. Convenience features include rear parking sensors and a reversing camera, rain-sensing windscreen wipers, automatic headlight control, automatic air conditioning, heated and folding door mirrors, and a leather interior. E-Niro is also fitted with a digital radio, eight-inch touchscreen satellite navigation system, Apple CarPlay and Android Auto. Will be interesting to see when VW ID is announced launched whether the VW ID, Kia E-Niro or Hyundai Kona will be top dog in this area. Stock and availability will likely be key factor in 2019.